It’s Time We Have Our Cake and Eat It Too! There is a new mobile app called LetsMoveDown that will now benefit all parties involved. Yes, you really can have your cake and eat it too. First and foremost, there are a lot of season ticket holders that know they won’t be able to make it to every game. Why not capitalize on other fans wishing they could sit in your amazing seats? 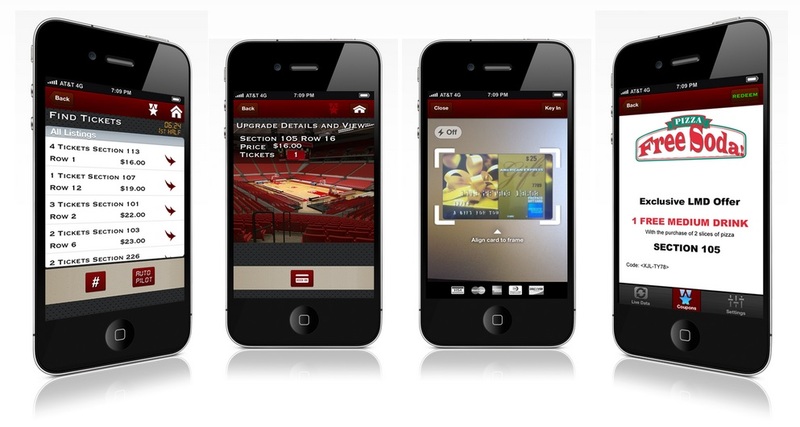 Using the LMD App, season ticket holders can now sell their tickets that won’t be used by scanning the barcodes for that particular game and avoid taking the loss. Why stop there though? Baseball, in particular, is a sport that will always have a hard time selling out every game. It has nothing to do with fans not loving or being passionate about their team, but instead the reality of a full baseball season and the 81 home games that it encompasses (there will just about always be available inventory). LMD has partnered with several franchises to capitalize on this void though and in return benefit both the franchise and the fan. LetsMoveDown co-founder, Derek Shewmon, explains that, “Prices are set at the beginning of the game by the team, usually around face value or at a slight discount. After the game starts, ticket prices decline based on an algorithm that factors in variables such as seat location, time remaining in the game, day of the week, home team record, away team, and supply and demand of the tickets to the game.” It would be silly for organizations to not consider utilizing a product like this when one of their primary focuses is generating revenue and being able to capitalize on what would otherwise be sunk-costs once the game has started. As for the fans, how can you go wrong? They now have the ability to upgrade their experience during the event at whatever price-point they feel comfortable taking advantage of; all while receiving concession coupons, fan offers and game updates directly through the app – for FREE. As great as this product can be, I believe there will still be some challenges presented regardless of how finely tuned the app is. I’m sorry Los Angeles fans, but your peers are the perfect example. Never in my life have I seen fans still show up during the 3rd quarter of a basketball game, halfway through the second period of a hockey game and during the 5th or 6th inning of a baseball game. Yet it happens in Southern California; a lot. That being said, just because it appears inventory might be available, doesn’t mean it actually is available. Another issue that could come up is season ticket holders simply forgetting to scan their tickets so that they can be resold. Finally, one of the greatest obstacles that fans may have to overcome is simply not having the mobile connectivity at an event to use this service. We all know how bad cell towers and WiFi can be at stadiums and arenas. While I’m sure there are many other potential pro’s and con’s, I feel pretty comfortable the pro’s should significantly outweigh the latter.